The Ranger 2312 2-port USB Extender features updated firmware and a new ASIC based design. It is able to extend all USB 2.0 and 1.1 devices types across Cat 5e (or better cabling) at up to 100m/330 ft. Also, similarly with the Ranger 2311, the power adapter can be used at either the local extender or the remote extender offering great flexibility. 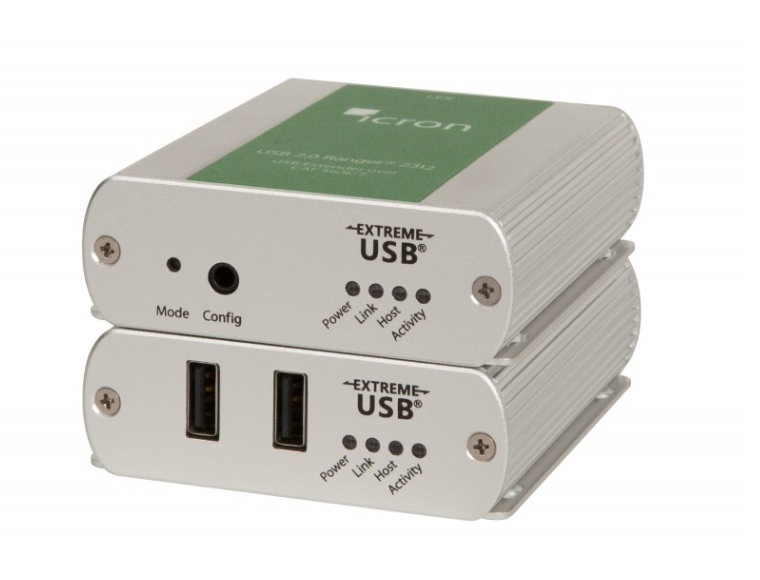 With ExtremeUSB built in, Icron's Ranger 2312 has true plug-and-play capability, not requiring any drivers or softwares. As well as this, the Ranger supports all major operating systems (Windows, Mac OS X and Linux). With a rugged design, this USB extender will be suitable for a range of industries such as digital signage, industrial automation, education, medical and machine vision cameras.